Transporting items using a Hopper. 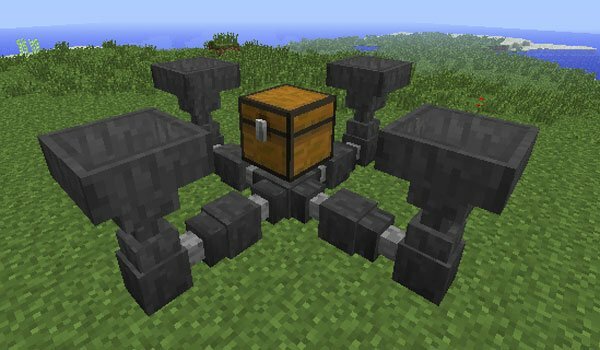 Hopper Ducts 1.7.2 and 1.7.10 is a fairly simple mod, but no less useful. It allows us to adhere ducts Minecraft Hopper and thus carry anything in any direction. Without this mod we only could carry those items downwards. Besides this, no longer in itself gives a lot of versatility to an object widely used as in the case of Hopper, the mod adds filters that allow us to block or filter certain objects when they pass through the tubes that adds this new mod. How to install Hopper Ducts Mod for Minecraft 1.7.2 and 1.7.10? Transport ducts and filters for Hopper!